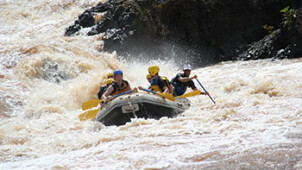 Admire Nature’s glorious spectacle amid the calm, tranquil waters of the amazing Tana River before taking on the vibrant, spirited and extreme Class IV/V rapids. There’s something for everyone on the Tana, all year round. Learn to kayak at the camp with a 2 hr taster session or take a 1 – 5 day course where we will introduce you to moving water. Reach new heights and have a bash at rock climbing on either our artificial climbing wall at camp or on a natural rock face located just 15 minutes drive away. We teach the necessary skills needed to climb routes between ‘moderate’ and ‘severe.’ The routes are no higher than 14 metres. Group members will also learn (under strict supervision) the controlling of safety ropes used by their fellow climbers. 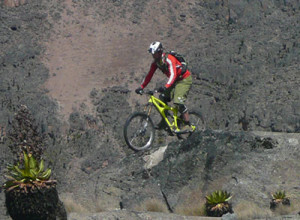 Explore our amazing camp and surroundings by mountain bike. The Savage guides will give you a safety briefing and some technical advice on how to ride on rough terrain, especially downhill. There are several different routes of varying difficulty and distance. For example the fantastic ride to Sagana and around the Kiambicho hills is about 3 to 4 hours before we return to the camp. 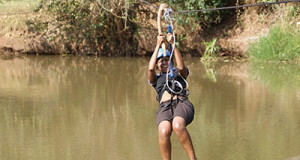 Fly across the Tana River on our new zip line, the perfect way to de-stress on a rush of adrenalin and marvel at the beautiful scenery from a different point of view. A New activity to Savage Wilderness. Come try your hand at Archery and see how good your aim is as you shoot targets with a bow and arrow. 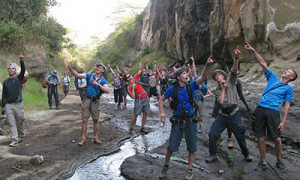 Explore on foot, the stunning surroundings around Camp, the Tana River and the Mission waterfall. A 2 to 3 hour walking tour with one of our knowledgeable guides who will teach you about the wilderness, the animal and human life within, as well as take you on a visit to the Mission waterfall. 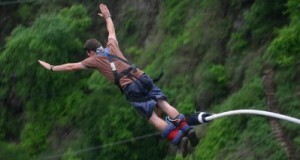 Another new activity at Savage wilderness. SUP originated in Hawaii as an off-shoot of surfing. 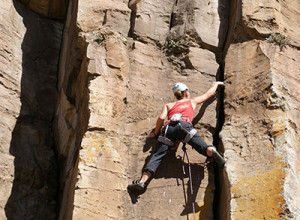 A 2013 report called it the outdoor sporting activity with the most first-time participants of any in the United States that year. It is the fasted growing flat water recreational sport. Try your hand at it in the flat water outside camp. 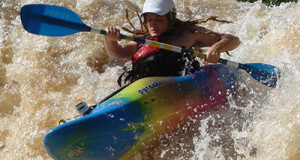 Similar to kayaking but in an Open Canoe that can carry 2 – 4 people. 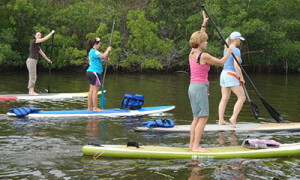 A fun activity in the flat water. 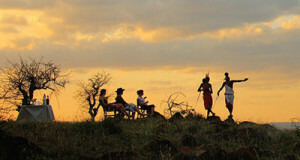 Savage Wilderness has designed various all-inclusive 2 to 3 day packages to satisfy all of your adventure needs. The packages include everything from transport to and from Nairobi, lodging, all meals, and all the activities that you wish to do. Please communicate with the office to find out which package best suits your adventure needs. Sit back and watch the sky break open in colour in one of Kenya’s beautiful, breathtaking sunsets, while enjoying a breath-taking ‘Sun-Downer’ from Kiambicho hill in front of Camp. 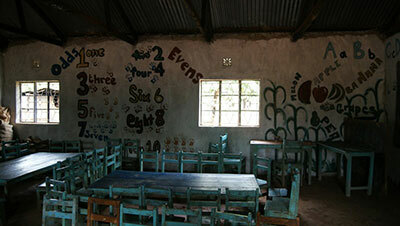 Savage Wilderness work very closely with the local community, especially the local school in Riandira; We are committed to improving the school to make it a better place for our children to learn and grow and so we run community service days in which we go to the school and build classrooms, make desks, paint and plaster walls, and much, much more.